Emily’s maternity session was nothing short of magic! We visited Devou Park in Cincinnati, Ohio in peak Fall foliage and it was absolutely stunning. 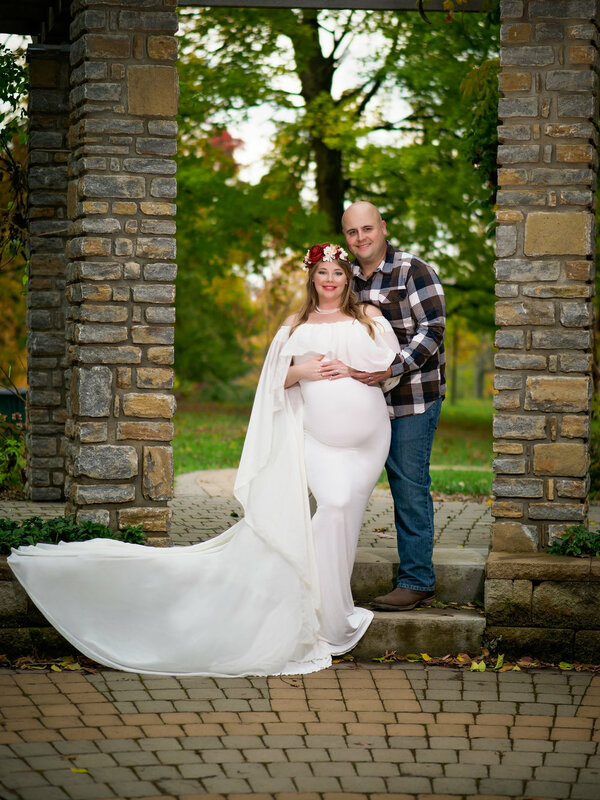 As maternity photographers we are so in love with all of our gowns from Sew Trendy Accessories not least of all the Angela and the Hera pictured here! The ease of use of the Profoto B-2 Location Kit with the help of the OCF Beauty Dish just really makes our lives so much easier, especially on location! Add in our favorite camera, the Olympus EM-1 Markii and the 45mm Pro f/1.2 and it’s a double win for everyone!